3 x 9 x 3 in. One of the forty RCA Selectron tubes installed on the Rand Corporation Johnniac Computer in 1950. 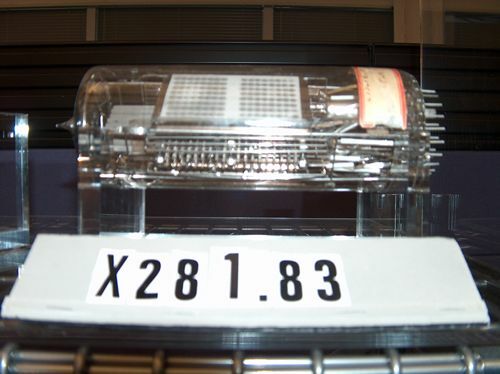 The tubes constituted the 256-word, 40-bit memory. 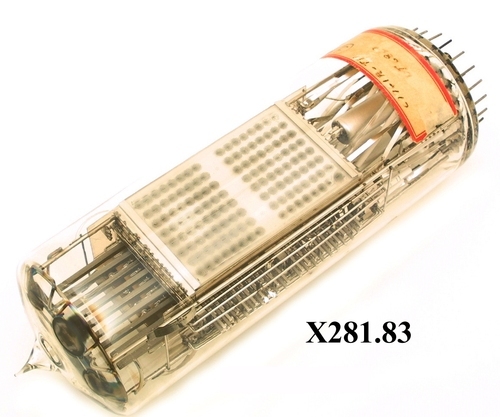 In 1954 a 4000-word magnetic core memory replaced the tubes.